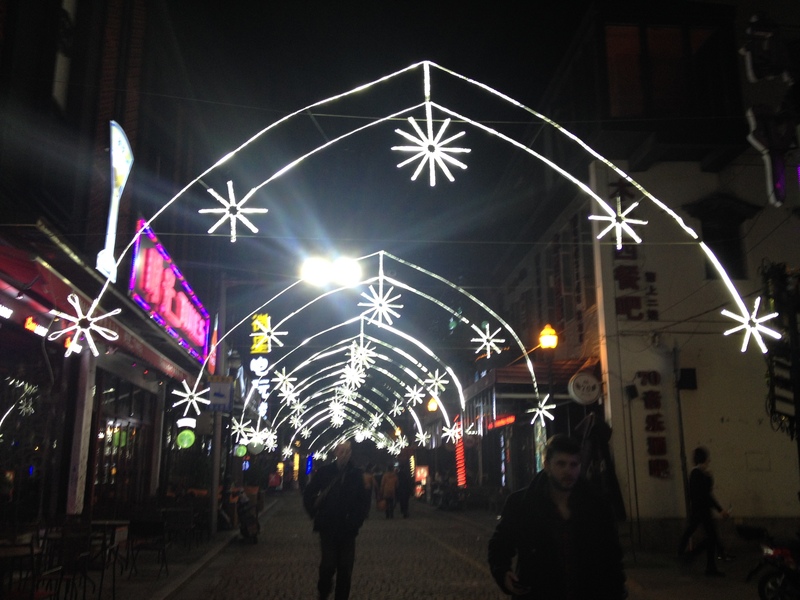 Year Abroad #China: Becoming a 中国通 – part two. – british. foodie. dreamer. 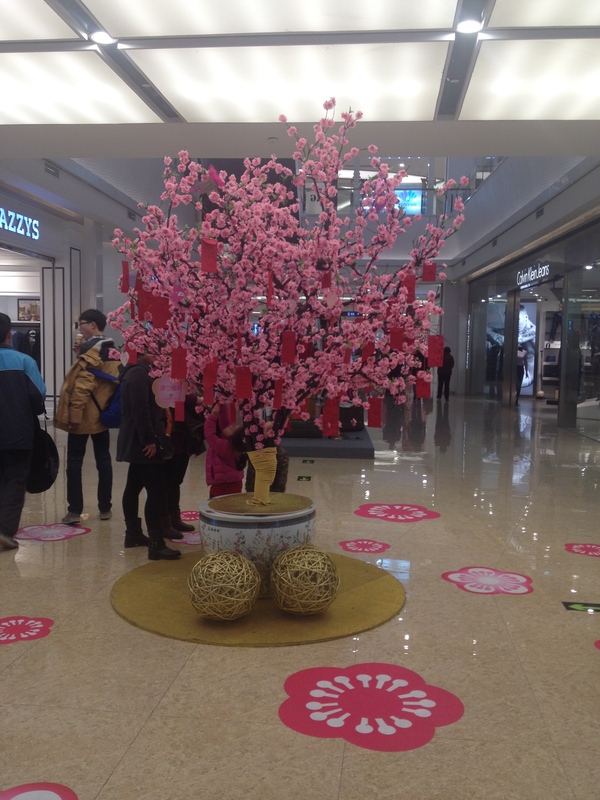 Year Abroad #China: Becoming a 中国通 – part two. Almost two weeks have passed and I love being here. Ever since I went on my first walk around campus at 6:30 in the morning on my first day here, I have felt this buzz. A vibe that says this is completely where I’m meant to be and that I don’t want it to change. On Wednesday night we had dumpling night where we made and ate dumplings! Mine looked quite terrible but nevertheless, we devoured them all by the end of the session. As the group had reunited we felt we had to do something other than going back to our respective rooms and stare at the ceilings for the rest of the evening. So we went to play table tennis in the sports centre! There were ten of us and it was really fun. We ended up playing ‘Around the World’ and continuously were out of breath. Following that, we heard that some others were having drinks in one of their flats so we decided to join. At first, I didn’t feel like having a drink, but after we’d been there for half an hour I decided to run up and grab one from my flat two floors above. I met the French people officially rather than just saying hi and chatted for a bit. The other UK girls crashed rather early as they had been out the previous night and had been incredibly drunk! I also chatted with the two Korean guys, Lee and Kim, as well as the Russian, Paval. We also heard that a guy called Michael had planned an itinerary for his three week holiday over the Chinese New Year so we all discussed it and did decide to tag along which means that we’ll all be together! At half past twelve, we decided to call it a night. Although I didn’t actually make it to bed until three am due to facetiming my mum briefly and running into my roommate Rachel, and chatting with her for a good hour! Oops! In the afternoon we went to the immigration office to hand in our resident permit applications and collect a piece of paper that means we are permitted to travel around China. Once we got back I went to play badminton with Rachel, Eric and Thomas and it was so much fun! Jos (the guy from New Zealand) appeared too. We ended up playing around the world and invited another group of Chinese students who were playing to join us to make it even more chaos. It was great! After that, we went to a spontaneous dinner with the boys because we were meant to go as flat but our electricity had died when we returned from badminton so instead of sitting in the dark, we went to a Korean BBQ! It was a buffet where you cooked the food on a hot pan yourself. For 64¥ (£7) it was all you can eat food AND drink including beer! The boys were beside themselves with happiness. I’m probably not going to drink beer ever again. [famous last words right?] I only had three and I watered them down with lemonade but ergh. I am soooo not a beer girl. We spent three hours in there and were the last table to leave the restaurant. From there we went to karaoke again! It was 10¥ for two hours and the music choice was a lot better this time! Yet it wasn’t a late late night. Because we left campus for dinner at quarter to six, we were home by quarter past twelve! And as I have no lectures on Friday, I’ve been able to sleeeeep!! 😀 so there we are. All caught up. I hope it’s all made sense and hasn’t been a bore to read! Friday was a good day. We went to eat lunch in WanDa Shopping Centre and bought some super warm gloves and tights. Then we headed to InCity where we didn’t buy anything then on to a big shop called Metro. It’s like a Costco crossed with Tesco. We bought some alcohol – I can get barcardi breezers!! Yayy!! – and I grabbed a little bit of chocolate too. I know this is terrible but I am missing diet coke so much!! I feel like I’m having withdrawal symptoms. Only normal coke and coke zero can be bought here and they do not taste as good at all. To be able to pay in Metro you have to have a member card so I signed up for one to share between us and it has my name on it! I was so excited when she handed it to me. I also bought a thermal top to wear under my layers and a hot water bottle. No regrets yet. When we got home Beana, Lisa and I went to play badminton with Thomas and Eric. After that it was a night out. Everyone seemed to be going. There was a party going on on floor seven but we decided to have our own party before that one in our flat. Rachel pulled out her fairy lights and we’d taken a big red rug that we found in a corridor (don’t worry, this is totally allowed) to add some colour to the room! From nine thirty we were all dolled up and ready to party. I got a game going called Tomanji which is a spanish app on my phone where you have to do what it says such as ‘if you have any sisters drink’, ‘if you go to the gym drink’ etc. It was soooooo good. Everyone was energetic and loving it. From that point it all got a bit crazy! As you’d expect! There are two big clubs here called Nova and Kings. Our first taxi took us to Nova but when we arrived I couldn’t any one from the university so I said to the guys I was with (Lee, Kim and Luis) that we should go to Kings. Molly was continuously texting me to go to Kings so off in the taxi we went. Previous Previous post: Year Abroad #China: Becoming a 中国通 – part one.